Resulting from the affiliation in 2005 of the firm DESCOMBES, founded in 2003, and the SCP SALANS, D&S LEGAL is a law firm located in Noumea, New Caledonia which offers a full range of services in many areas of the law. The practice of the law firm D&S LEGAL focuses above all on the corporate and business world, including business law, competition and merger law, employment law, tax law. 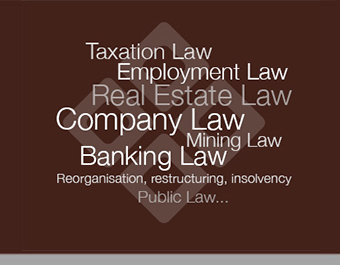 Close to its clients, the law firm D&S LEGAL positions itself as a partner, whether for private or corporate clients. Today, fifteen people work in the Firm, paralegals, “juristes” (legal practitioners), “avocats” registered with, and entitled to appear before, the Noumea Bar and a lawyer who is registered as a legal practitioner in the State of Victoria, in Australia. The commitment of the firm D&S LEGAL is based on an ability to listen attentively which, thanks to highly developed and multidisciplinary technical legal standards, makes it possible to treat issues both when providing advice and when acting in litigious matters. The Firm also has access to extensive sources of documentation, which are continually updated, a strong ability to respond in terms of recruitment and numerous contacts throughout the world. The firm D&S LEGAL has had an international focus since it was created. For this reason, every lawyer is fluent in French and English. The firm D&S LEGAL works throughout the Asia-Pacific Zone, not only with clients from the French-speaking islands (Noumea, New Caledonia, French Polynesia and Wallis and Futuna) but also with Australian, New Zealand, Japanese, Chinese and Korean clients. Finally, part of its clientele is also located in Europe, the United States and Canada.